Behen Hogi Teri review: Why Rajkumar Rao got drunk? Home » Entertainment » Behen Hogi Teri review: Why Rajkumar Rao got drunk? The movie Behen Hogi Teri which features Rajkumar Rao and Shruti Haasan has finally hit the theaters today. 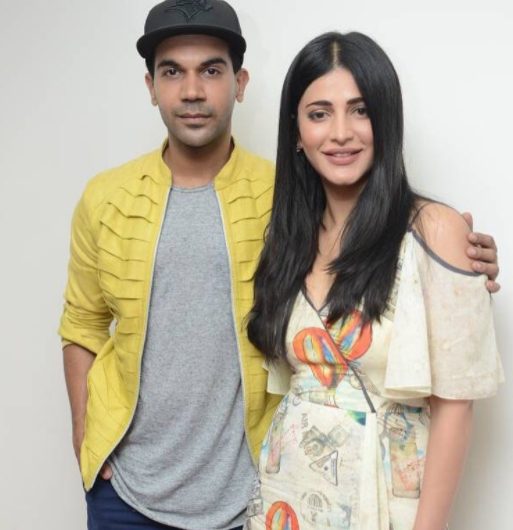 The movie revolves around a boy Gattu(Rajkumar Rao) has some probelms and he loves Binny(Shruti Haasan) who lives in his neighborhood. But he cannot confess his love to him for the society as he is always told to consider the neighborhood girls as his sister. So no one takes Gattu as a potential room for Binny. Evryone gives him the tasks as a brother is given for his sister or mother. Binny is also naughty, she also doesn’t show much of interest toward Gattu and also does not commit completely to Gattu. Now the question is how Gattu convinces Binny. The movie has in total seven songs out of which five are romantic to their core. The opening song of the movie is Jai maa- Kala Chasma with a devotional twist in the song. The movie will surely remind you of the 80 and 90s when the devotional numbers were set to filmi polular numbers. Arijit Singh is the main element to give attention in the songs and his song Tera Hoke Rahoon will surely touch your heart. It is a slow number which has highlights of slow soft flute and the acoustic guitar sets the tone of the background. Next in que is ‘Teri Yaadon Mein’ being sung by Yasser Desai, Pawni Pandey and Yash Narvekar. A romantic track, it starts on a promising note, but fails to maintain the perfect pace of the song. However, its reprise version, sung by Yash and Sukriti Kakaar, more than makes up for it. ‘Tenu Na Bol Pawaan’, composed by Amjad Nadeem, is yet another slow melody and Yasser and Jyotica do a good job of keeping you hooked to it. But again, its reprise version by Asees Kaur makes it a must listen song. If rumours are to be believed then it has been heard that Rajkumar Rao who does not drink in his real life, gulped wine in his reel life. There is a scene in the movie where he is shown drunk and according to him he might not have done the scene so perfectly if he didn’t drink. To bring an authentication to the scene he drank a bottle of vodka. Baywatch cast and its promotional tour with Priyanka Chopra.